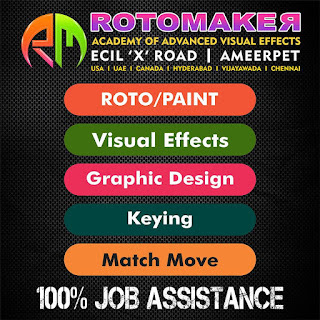 Great Career Awaiting For You In VFX Industry.. Hurry Up!! !join us Saturday 28th April for a bright career – Free Seminar conduct on Visual effectsA series of seminars on career options in the VFX industry. 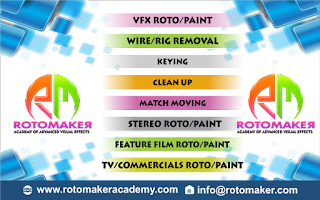 In ‘Perspectives’, studio professionals share their knowledge & experience and give career tips to Rotomaker Academy students.We’re offered VFX Courses like VFX Rotoscopy, VFX Paint and Visual Effects. Not only training But also, Provide 100% Job assistance.